Today it is IKEA, not Singer, that is the world's largest furniture manufacturer. Its Swedwood Group production arm moves some 100 million units of furniture a year. That's a lot of wood, and the question is, where does it all come from? As we saw in the Singer post, if you were around 100 years ago and asked a floor manager at their South Bend or Cairo factory where their wood came from, they could simply point out of the window. 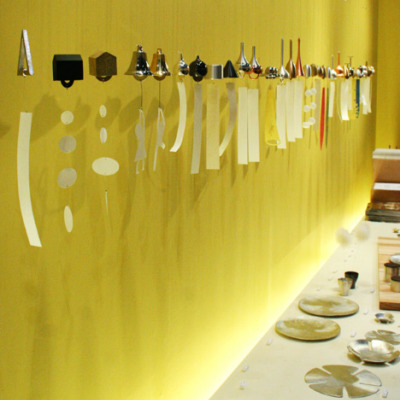 Ikea's modern-day needs are considerably more complex. 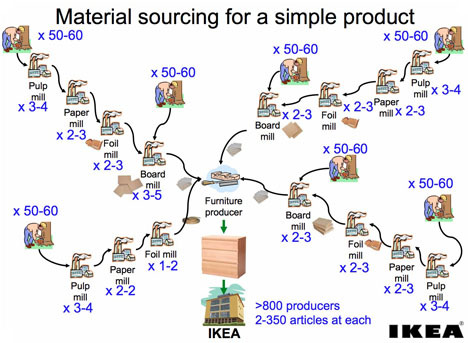 There aren't enough forests in the world to sustainably make 100 million units a year out of solid wood or even plywood, so it's no surprise that the bulk of IKEA's stuff contains particle board. 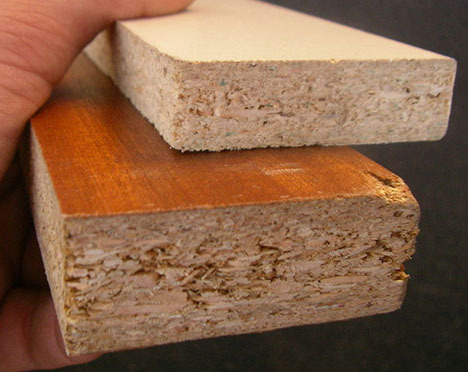 To be able to create products out of sawmill shavings, sawdust and otherwise unuseable wood chips is an intelligent solution... or at least it would be if we could eliminate the carcinogenic formaldehyde needed to glue it all together. 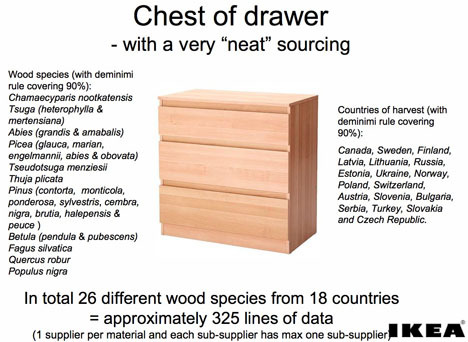 Even so, IKEA's massive sourcing needs require those wood scraps be gathered from myriad sources, so you may be astonished to learn a single dresser can contain 26 different species of wood from 18 different countries. And that's for a "neat" sourced piece of furniture. But as a recent investigative article by Grist explains, tracking where a particular batch of wood chips actually came from is becomingly increasingly difficult to do:Right now, there's no way of knowing whether or not that chest of drawers or flimsy bookshelf contains wood from old-growth or illegally logged forests—in other words, whether the product is implicated in deforestation, climate change, and drug smuggling. One interpretation of Grist's take on the situation is that Ikea is willfully concealing their sources of wood. Another reader might conclude that the procurement system has become so Byzantine and opaque that they simply don't know where it's all coming from. Companies can be cagey when they know they have something to hide, but I think what makes them even cagier is when they're not sure if they have something to hide. Read it here and decide for yourself.